Two years ago, the NSW government promised to ban the greyhound racing industry after revelations emerged of appalling, systemic cruelty by trainers across the state, including live-baiting, mass killings and widespread mistreatment. 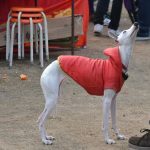 The government later did “the mother of all back-flips”, bowing in to pressure from the world’s wealthiest and most powerful greyhound racing industry, and “reversing” the proposed ban. Now, the government has announced the state’s taxpayers will fund the industry to the tune of $500,000 for an event in Sydney later this year. 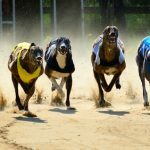 “The Million Dollar Chase marks a fresh start for the NSW greyhound racing industry and is a great opportunity for owners, trainers and breeders across the state,” declared Racing Minister Paul Toole. To say the decision is controversial is perhaps an understatement, especially given that senior state officials have confirmed the government rarely funds other racing codes. For many, the funding of an industry that has caused so much public outcry is a hard pill to swallow. It has also been reported that greyhound owners are still relying on tenuous justifications for euthanising dogs, including that the dogs ‘hate cats’ or are ‘timid’, despite promises that the widespread practice of killing dogs for little reason would end. 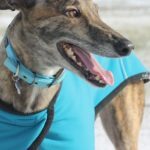 Internal Greyhound Racing New South Wales records obtained under freedom of information laws reveal that amongst the notifications of retirement submitted to the regulator between April 2017 and May 2018, many owners simply say rehoming is not suitable because of the dog’s “temperament”, without describing the animal’s behaviour in any detail. Previously, greyhound owners were required to seek the consent of the regulator to have an animal euthanised, but now they only need to show that they have made “genuine and reasonable attempts” to rehome a healthy greyhound that needs to retire from racing. This change was a reform bought in by the new Greyhound Welfare and Integrity Commission, one of the key initiatives of the government’s move to reform the industry, after a special commission of inquiry which focused on – and heavily criticised – euthanasia rates in the industry. Greens MP Maureen Faruqi says that these latest published retirement notices showed the industry continued to allow euthanisations for dogs that had stopped “turning a profit”. The Greyhound Welfare and Integrity Commission says there is no weakening of the euthanasia policy. 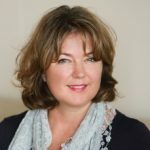 But the numbers tell a different story and give every reason for genuine community concern that the industry is not making a genuine effort to reform. 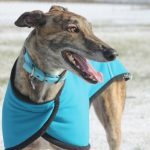 It was recently reported that the number of greyhounds injured and killed while racing is now higher than at any time since records began in 2016. There were 37 dogs killed or euthanised across 34 tracks in NSW in the three months to March 2018, with around 15 per cent of all dogs that raced suffering at least one injury. And just last month, the RSPCA seized 21 deceased, sick and emaciated greyhounds from a licensed and registered trainer in western Sydney. Nine deceased greyhounds were found in a mass grave on the property, and the living dogs were suffering various medical conditions including emaciation and severe dental disease. The RSPCA is now investigating the matter and expects to mount a criminal prosecution. But the public outcry remains, particularly when the industry is a commercial entity, and there are better ways for the government to spend our money.